Offering you a complete choice of products which include stone crusher conveyor belt. Temperature range 300oC - 500oC. Leveraging on our in-house production unit, we are presenting a wide assortment of Stone Crusher Conveyor Belt. In addition, this belt is known for carrying heavy and hard loads to the peak heights. Furthermore, our professionals have designed the belt in such a way that it supports the return belt. In addition, we also manufacture hot vulcanized endless belt as per customers need. 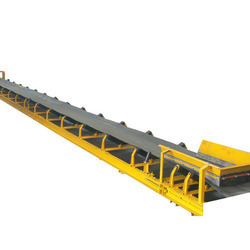 Looking for Stone Crusher Conveyor Belt ?